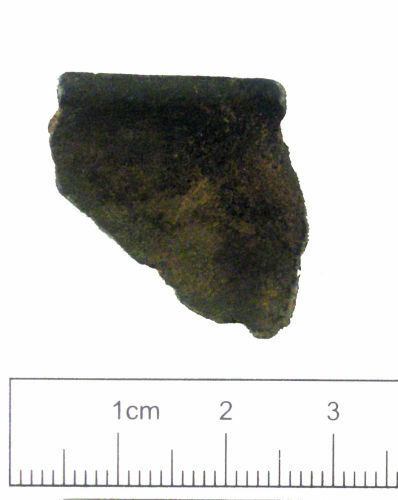 A small cast copper alloy rim fragment from a copper alloy vessel. The rim is thickened and chamfered along the top edge. The fragment is worn with worn edges and a dark greenish-grey patina. Due to a lack of context it is not possible to closely date this object, although it is medieval to post medieval in date.